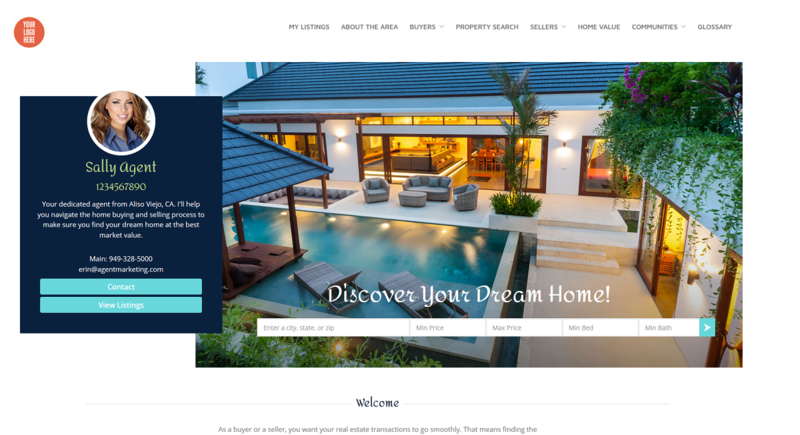 Personal websites are a great way to market yourself, your brokerage, your company, niche markets, specialties, etc. We have easy to use layouts where you can customize everything from the font, to the colors and photos you want to use and more. We have a lot of content-filled pages you can use (and even edit), you can link to an outside website if you want, and even create your own custom pages (think a blank slate) where you can add your own content, even photos, videos, etc. So, now the big question. What can I do with these?! 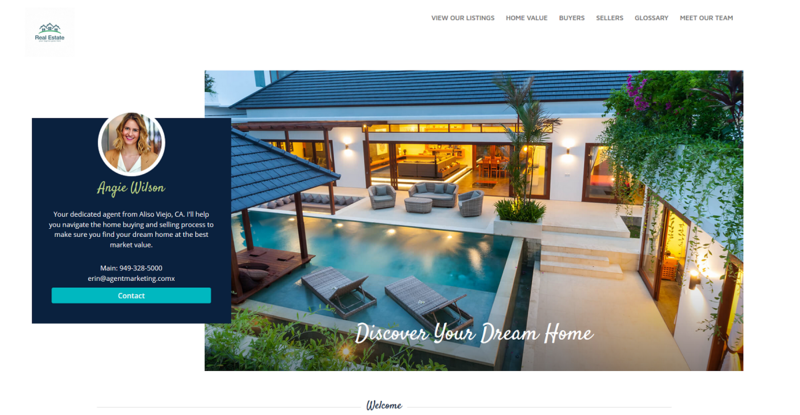 If you are a real estate agent, you can use this feature to have your own website to market your listings, yourself, generate leads and whatever else you think would be beneficial for someone looking at your website. Putt pages on your website with good content so that it is a good resource for someone looking to buy or sell a home. Put a property search on the website so that buyers can search for a new home (and you can get a lead). Put other lead generating pages on your website. Put community pages on the website to showcase particular communities you may work or farm. As you can see, the sky is the limit! Have fun with it and make it your own! You could also create an entire website dedicated to a particular community or neighborood, niche or specialty. 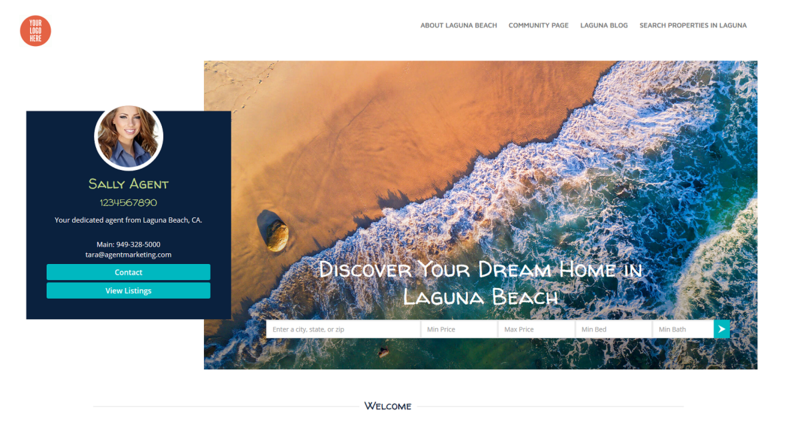 Build a community website with community pages on it, information pages about the community, events, history and even videos about the community. You can build an entire website about a speciality, like working with miliary relocation, first time home buyers, FSBOs. These websites can be filled with information about a very specific subject. If you are a loan officer, this website can help people understand different mortgage types, interest rates and the loan process. We do have loan officer pages with pre-filled content explaining things like mortgage types and other things! We also have a mortgage calculator page. You can add a testimonials page, video page and pages about specific things you may offer. If you are a broker, you can use this website to promote your company and even recruit new agents. With the broker websites, you can add on an agent roster page (we automate the agents on it, as long as you add the into your AgentMarketing.com broker account). You can add a page with your office listings on it. These listings are automatically added to this page as they show up in the agents' AgentMarketing.com accounts. You can even add pages with documents that agents or clients may need and password protect these pages so not just anyone can see them. So as you can see, there are so many things you can do with the personal website feature! Feel free to call or chat our support team if you have any questions about adding/editing content, customizing the look of the site, etc or just take a look at the webinar video at the top of this blog to learn more.